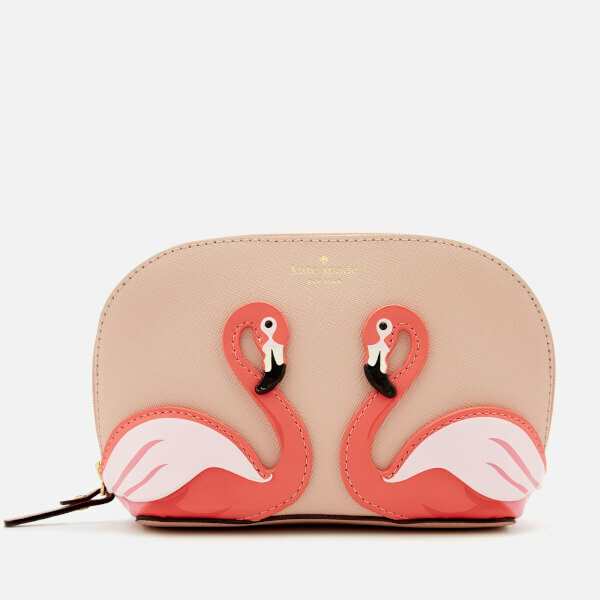 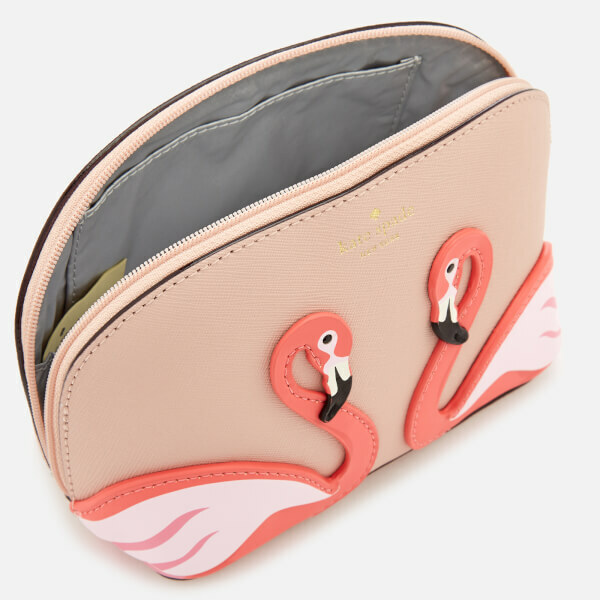 Women’s ‘Abalene’ cosmetics bag from the By The Pool collection by Kate Spade. 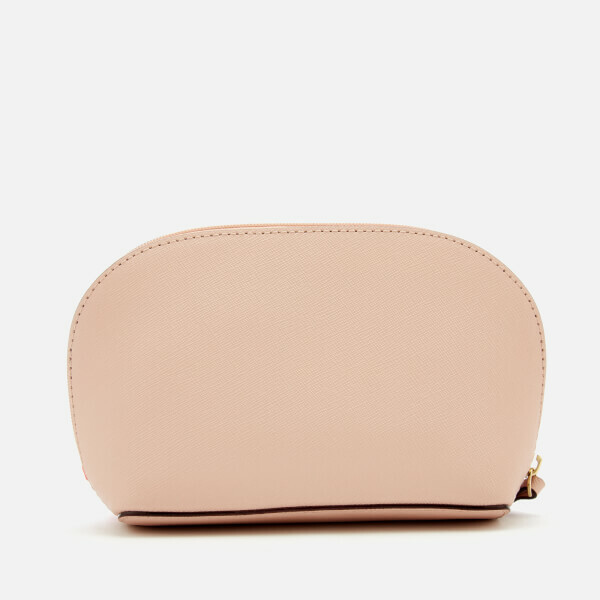 Presented in textured Saffiano leather, the pink makeup bag fastens with a top zip and opens to reveal a lined interior with a slip pocket. 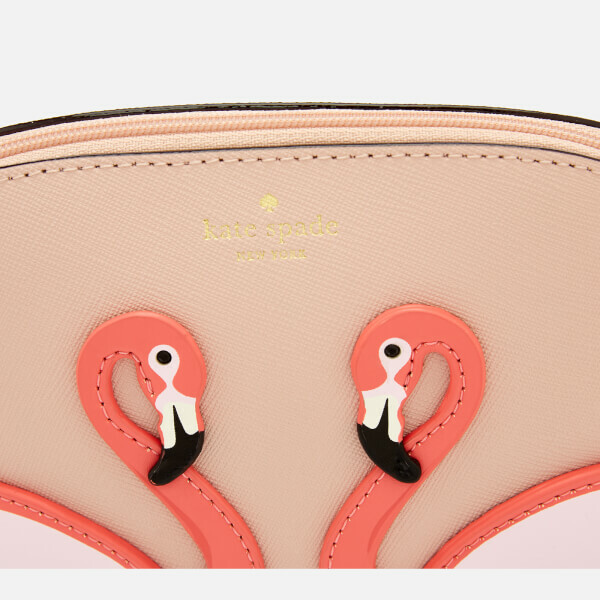 The front of the case is decorated with appliquéd flamingos and signature gold foil branding.